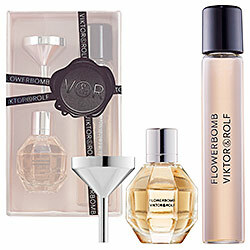 Viktor and Rolf's Flowerbomb perfume has been on my mind since its alluring fragrance first captivated me last year. I've been eyeing it for the last few months but couldn't bring myself to cough up $100 for the 1.7 oz bottle. The smallest size I found on display at Sephora was the .68 oz "petite" spray for $50. The thought of shelling out that much cash for not even an ounce of stuff was depressing. I decided to ask the sales associate if they had any smaller sizes than the .68oz in the stock. Reluctantly he told me that he'd check the back of the store. Well, guess what - - Sephora is offering a limited edition Travel Duo of the must have fragrance at a fraction of the cost!!! For $25 you get a .25 oz Eau de Parfum and .50 oz refill! Yes, that's .75 oz of this amazing fragrance for a fraction of the cost. 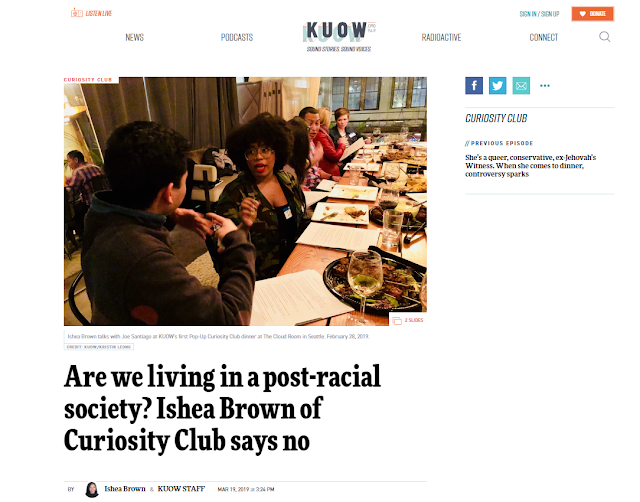 Now, you may be thinking what is the catch? Well, it's doesn't come in a spray bottle or roller ball, but instead the old school "dab" bottle. I happened to have an empty perfume bottle that I was able to use that has one of those sticks you use to dab perfume on you (it's a pretty cute bottle) so I put it in there. But keeping things in perspective, I got .75 oz of my must have fragrance for $25. The .68 oz spray version is $50, so this just goes to show that if you're willing to be creative you can land an amazing deal. Fragrances can get pricey so always be sure to ask what the smallest size (travel or roller ball pen) is that they have in stock.